Google Fi can save you money and provide some pretty appealing perks, but there's a lot to wrap your head around before deciding if the service is right for you. Google Fi may sound like some weird sort of initiation ritual ("Whoa, what happened to Rick? I heard he got Googlefied!") — but if you can get past its silly-sounding name, the recently rebranded wireless service can both save you money and step up your smartphone security situation. Make no mistake about it: Google Fi — known as Project Fi up until last week — is a pretty unusual proposition. And it absolutely won't make sense for everyone. If you fall into a certain style of smartphone usage, though, it can eliminate a lot of the downsides that typically come with a traditional wireless plan. So how does Fi actually work, and could it be right for you? Let's tackle it question by burning question and figure that out together. What exactly is Google Fi — or Project Fi, or whatever you want to call it? Google Fi is technically what's known as an MVNO, or mobile virtual network operator. That's a fancy name for an entity that provides wireless service — y'know, the thing that allows you to make and receive calls and use mobile data from that shiny rectangle in your pocket — without actually owning the network infrastructure behind it. In other words, it's kinda like a high-tech landlord. It doesn't have its own network like AT&T or Verizon; instead, it has an arrangement with those very sorts of carriers that allows it to tap into their networks and repackage access to those pipes under its own brand and arrangement. What networks does Google Fi actually use, then? In the U.S., Fi uses a combination of T-Mobile, Sprint, and U.S. Cellular. That's one of its distinguishing features, in fact: When you use Google Fi with a phone that's designed for the service, it's able to seamlessly switch you between those networks based on which one has the strongest service at any given moment. Ooookay. How does this network switching mumbo-jumbo even work?! Automatically and silently; on a day-to-day basis, you'll never even think about it or be aware that it's happening. Your phone just shows that you're connected to Google Fi. But behind the scenes, the device continuously seeks out the best possible network for your location and switches you around as needed. Will I get good coverage, then? How will it compare to what I have now? That's an important question — and unfortunately, there's no simple nor universal answer, as it ultimately all depends on where you are and how Fi's networks perform in your area. If you want to get even more specific, snag the free OpenSignal app for your phone. The app can show you detailed coverage maps for any set of networks in any area — based on user-submitted data — and even rank overall connectivity strength for different networks where you are (or where you might be). Or, heck, you can simply ask around — or mull over your own past experiences. Think of it this way: If you know you can get solid service with, say, T-Mobile in your area, then Google Fi should be fine for you; the addition of Sprint and U.S. Cellular as possibilities will only flesh out that coverage further and fill in any gaps. As long as at least one of Fi's networks is a viable option wherever you are, you're good to go. What about the Wi-Fi part of the process? Doesn't Fi also connect to public Wi-Fi networks sometimes? Well, I'll be. Go get yourself a cookie, you brilliant little koala. You're on the ball today! Google Fi does indeed incorporate public Wi-Fi networks into its coverage — for phones designed for Fi — which is another unusual and noteworthy part of its proposition. And just like with the mobile network switching, it all happens automatically and without any effort on your behalf. Here's how it works: Anytime you're in range of a publicly available Wi-Fi network that Google has determined to be "high-quality and reliable" (a phrase you should probably not borrow for your next dating app profile), your Fi phone will switch over to that instead of your regular mobile network. You'll see it happen in retail establishments with open Wi-Fi networks or anywhere else that has its Wi-Fi available without the need for any sort of sign-in. Fi automatically encrypts your data anytime it's connected to a network in that manner, using a special Google-provided virtual private network (VPN) — which means that no one else on the network could snoop on your connection and see what you're doing (in the way you often hear described as a risk of using public Wi-Fi networks). But just like with the service's mobile network switching, you don't really think about any of that stuff in day-to-day use. With the Wi-Fi, you do see a special icon in your status bar showing that you're connected to Wi-Fi with the Google-provided encryption enabled, but other than that, things just work — and you don't put much thought into what network or type of network your phone has attached itself to at any given moment. Is there any way I can get that same VPN encryption all the time? It's actually a pretty powerful perk, too, especially for anyone serious about Android security — which, ahem, we all should be. But if you ever transmit sensitive company data, always-on encryption is not only smart; it's practically a necessity. And unless your company provides its own custom VPN service, you end up having to rely on a third-party service for said protection — something that's costly, complicated, and difficult to evaluate and remain fully confident in over time. With Fi's new built-in encryption option, that challenge is no more: Your VPN is provided directly by Google and bundled into your basic wireless service. All you do is flip a little toggle in the Fi app on your phone to turn it on, and you can then rest easy knowing all your data will always be encrypted, no matter where you are or what sort of network you're using. What about cost? Will I actually save money with this Google Fi service? Again, there's no simple universal answer, as everyone's needs and habits are different — and the competition from other carriers is constantly evolving. There are, however, some good general guidelines that can help you figure out if Fi might make financial (get it — fi-nancial?!) sense for you. Most broadly, I'd say this: Fi tends to be best for people who use a relatively small amount of mobile data. If you burn through gigs upon gigs of mobile data each month, you'd probably do better with a different sort of setup. Now, specifically, here's how it works: Fi charges you 20 bucks a month for your basic service, which gives you unlimited calling and texting. On top of that, you pay $10 for every gigabyte of mobile data you use each month — or whatever percentage of that number ends up being relevant, all the way down to the third decimal. So for instance, if you used 2.202GB of mobile data in a month, you'd pay $22.02. There are a couple of noteworthy asterisks here. First, remember that automatic Wi-Fi connection part of Fi's service? Keep it mind that that actively works to help you use less mobile data all throughout the day. In assessing your typical monthly mobile data use, think about whether you tend to be in or near places with public Wi-Fi that might help reduce your regular usage, as you currently know it. Second, Fi will charge you only up to the 6GB mark, with an individual account. If you manage to go over 6GB of mobile data in any given month, you'll pay only $60 — $10 per gig times six — for that month's usage. You can go all the way up to 15GB without paying another dime; once you hit that 15GB mark (something Google says less than 1% of individual Fi users ever do), you'll have the choice to get slower than usual mobile data speeds at no extra cost or to start paying $10 per gig again for regular mobile data speeds from that point forward. So, yeah: If you're routinely using 25GB of mobile data each month, you'd probably come out ahead with another carrier's "unlimited" option. But if you can keep your monthly usage in the lower to mid-single-digit gigabyte count, on average, you could end up saving quite a bit of dough with Fi's arrangement. Does Google Fi offer any group plans or anything like that? It does! Fi rolled out a group plan option a couple years ago, and it's really a no-brainer if you have family members or even co-workers who are using the service and might want to combine. The Fi group plan has the same core setup as the regular plan, but each additional person on the plan has a $15 base fee instead of $20. Then you still pay that same per-gigabyte rate for however much data is used, collectively. And your "max payment" amount bumps up to 10GB, so any usage past that point doesn't cost you any additional money (up to that same 15GB mark, at which point any individual within the plan has the same option to either get slowed down speeds or to start paying the per-gigabyte rate again). The Fi app even has an option to set it up so that members of your plan get "billed" for their portion of the total each month and can pay you back with a couple of taps using Google Pay. As the primary account-holder, you also have the ability to pause any member's service or data at any point in a billing cycle, should the need or inspiration (bwah hah hah) ever strike. What about roaming? Surely Fi screws you when you go out of the country, like every other carrier — right? Amazingly, no; this is another one of the service's most valuable features, particularly if you travel internationally with any regularity (you lucky son of a dolphin, you). So here it is: Fi charges you the same standard per-gigabyte rate all over the world — in 170 countries. You get free texting in all those places, too. You do end up paying for cellular voice calls, but even those rates aren't generally that bad, relatively speaking. Can I use my phone as a mobile hotspot? Yes, indeedly. And there's no extra charge for doing so; you just pay that same standard flat per-gigabyte rate for any data you use, regardless of or how you're sharing it or what device is actually tapping into it. You pay ahead just one month at a time — so in December, for example, you'll prepay for January's usage based on your own estimate of how much mobile data you'll need. But you still end up paying only for the amount you actually use; anything above that mark comes back as a credit on your next bill. Similarly, if you go over your estimated data usage, you get charged for the precise extra amount the following month. What if I want to put a SIM card into a tablet, laptop, or other connected device? How much does Fi charge for that privilege? Google Fi lets you claim up to nine data-only SIMs for your account and use them in any devices you want. You can order the SIMs free from the Fi app or website, and all you pay is the same per-gigabyte rate you'd pay for mobile data use from your main phone. That means any extra devices essentially become extensions of your main Fi phone — which is another powerful perk that opens up plenty of interesting possibilities. Can I port in my existing number to Google Fi? Yup — whether it's a cell number or even a landline number. Nothin' to it. What if I'm using Google Voice now? The short answer is yes, you can absolutely port in a Google Voice number to Project Fi — and you'll still get most (but not all) of the significant Voice features, albeit in slightly different Fi forms (fo, fum). You can also always transfer your number back out later, if you decide to stop using Fi and want to go back to Google Voice down the road. The long is answer is — well, it's complicated. Like, really complicated. I put together a detailed FAQ dedicated entirely to this very subject a while back, though, and it probably has the answer to any question you've got. Can I use any texting app I want with Google Fi? Sure can. Officially, Google suggests using its own Messages app (naturally) or Hangouts (still? ), but any Android texting app will work just fine. I use Pulse, personally, based mostly on the recommendation of this one super smart and suspiciously handsome writer I know. This all sounds dandy, Randy, but what if I need some help along the way? Well, Gilby, lemme tell ya: Google Fi doesn't have any physical retail stores (yet), but it does have 24/7 phone, chat, and email support — which has generally been quite good in my experience and far less likely to make me want to gouge my eyes out than any other carrier support system I've had the displeasure of using. Will any phone work with Fi? More or less — and kind of. Let me explain: Fi has a small number of phones that are explicitly designed for its service — including Google's own Pixel devices, as you'd expect, and a handful of other specially adapted handsets. Those phones give you the full Fi experience, with the multi-network switching, the automatic public Wi-Fi connecting, and the always-on VPN protection option. You can, however, also use Fi with most other reasonably recent Android phones or even iPhones. As long as a device is unlocked and compatible with GSM networks (like T-Mobile, Sprint, and U.S. Cellular), in fact, it'll almost certainly work on Fi — at least, from a technical perspective. That's always been true, despite the fact that Google just now started promoting it and officially supporting such widespread compatibility. But take note: With a phone that isn't designed explicitly to be used with Google Fi, you won't get that aforementioned full Fi experience. That means no multi-network switching — instead, your device will connect only to T-Mobile, in the U.S. — plus no automatic public Wi-Fi connecting and no always-on VPN protection. What you will get is the pay-only-for-what-you-use, hidden-fee-free billing setup along with the standard-rate international data cost. But you're essentially getting that with regular T-Mobile service here in the States, which takes a bit of the shine off of Fi's appeal. Also, with new accounts, Google Fi is currently limiting you to a certain subset of approved devices. (You can search the full list here.) Even if an older phone is technically compatible with Fi — and would work with it, if you were to slap an active SIM card inside — Google won't activate an account unless you have one of those whitelisted phones. 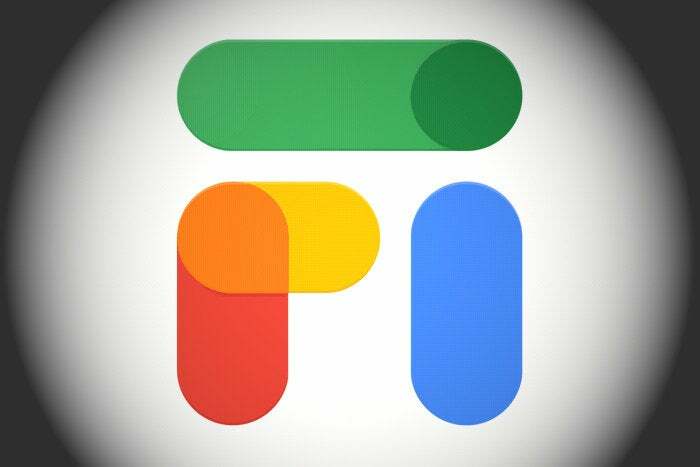 Do I have to buy a Fi-designed phone from Google Fi directly in order for it to work right? No — for instance, you could buy a Pixel phone from Google, from Best Buy, or wherever, and it'd still work fine and give you the full Fi experience as soon as you slide that SIM card inside. The same applies for most other Fi-designed phones, too, though if you're thinking of getting anything other than a device's unlocked model, you may want to check the Fi compatibility site just to make sure it shows up as having full "designed for Fi" support. Fi does sell all such devices directly through its website, with options for financing, trade-ins, and device protection plans. It also tends to run a fair amount of deals — including dropped prices and bundled-in Fi credits with new device purchases (both of which are present on several of its phones as of this writing). So it's certainly worth shopping around a bit but also seeing how Fi's own offerings compare to what you find elsewhere. Okay, I think I've got this. Very important query before we wrap up, though: Does Fi ever make you crave pie or rye? And mai tai? Eh, guy? I won't dignify with a reply. What about Thai? Or chicken thigh (after a fry)?